After seeing my friends Emanuele and Luca claims, it seems far to me to say out loud that I’m too a — really satisfied!!! — user of the personal instant messaging software Signal 🔗 and Telegram 🔗 … both a better choice regarding my privacy than their opponent Whatsapp. Today the reasons for using Whatsapp are the same as being registered on the Book of Faces, its widespread diffusion. And this record, in the panorama of messaging software on smartphones, is due to being the first ubiquitous on the various platforms (today remained a duopoly), but if you remember also ICQ at the time won for being a pioneer … and today those who do you still use? A very small minority! Whatsapp is, in fact, together with Instagram the plan B of the Book of Faces (*) for the global profiling of users of the Net. And even if we delude ourselves that our chats are encrypted, as Emanuele rightly observes in the linked article, ” it is the metadata that kill us “. With whom I speak, for how long, how long are my messages, from where we write, at what time, after what events … all are information as juicy as – if not more – of our conversations themselves. The alternatives are here. And starting to use them and to convey our conversations on these platforms – more respectful of our privacy – is a duty we have towards those who, less attentive to technological issues, use tools for habit and not for awareness. Like the herd immunity with vaccines (I dare to say). Inviting our interlocutors to use these platforms will make them understand that they are not alone, they will gladly see that others have embraced their conscious choice and maybe they will contribute together with us to dismantle this business of selling people. At 44 I still like to think that’s possible! (*) = Orwell called “Big Brother” this mechanism of ‘global surveillance’ that today F. applies to all the traffic carried by its own channels and therefore in fact embodies – along with Amazon and Google. Alan Moore in his V for Vendetta, more darkly, separated the surveillance roles in the Eye and the Finger, giving to the surveillance a tool for acting against those who did not follow the expected behavior. I, for my part, I’m still deciding how to call them (in public). Like Game of Thrones. It doesn’t have half of America watching it, but it’s still a success. I argue that the same is true of apps and app categories: we’ve (finally!) entered a period of tech diversity, and Mastodon and Micro.blog and RSS readers and blogging systems and so on do not have to capture the attention of the entire internet to be successful and important. Yesterday it was an heavy day at work, following a day long seminar on GDPR by my employer. 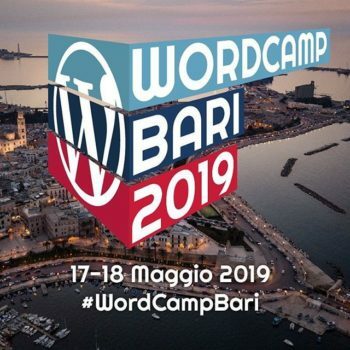 I needed something fresh and inspiring to lighten my mood, so I went to WordPress.tv – strong of the energies of the latest WordCamp in Bari ten days ago – and enjoyed this talk from Sara Rosso. Too many people worry about what AI will do to us. Too few worry about what Power will do with AI. Designers and programmers are great at inventing software. We obsess over every aspect of that process: the tech we use, our methodology, the way it looks, and how it performs. Unfortunately we’re not nearly as obsessed with what happens after that, when people integrate our products into the real world. They use our stuff and it takes on a life of its own. Then we move on to making the next thing. We’re builders, not sociologists. This approach wasn’t a problem when apps were mostly isolated tools people used to manage spreadsheets or send emails. Small products with small impacts. But now most software is so much more than that. It listens to us. It goes everywhere we go. It tracks everything we do. It has our fingerprints. Our heart rate. Our money. Our location. Our face. It’s the primary way we communicate our thoughts and feelings to our friends and family. It’s deeply personal and ingrained into every aspect of our lives. It commands our gaze more and more every day. Mozilla is desperately needed to save the web, but does it stand a chance? Our world is increasingly mediated by the internet, and that internet has just a few gatekeepers, collecting tolls as we browse. As Python guru Matt Harrison put it, “Vendors control the default browser which 99.9% of people use.” Those vendors are happy to sell us access to information. Nothing about it is free. All the original contents of this blog are released under a Creative Commons Attribution – Non Commercial – Share Alike 4.0 International License.